Witold Łokuciewski was born on February 2, 1917 in Kamieńska Stanica in Russia, on the river Don. His father was Antoni Łokuciewski, speaker of the Vilnius Seym, which in 1922 decided to incorporate the area of Vilnius into Poland. During the German invasion of Poland in September 1939 as a pilot of a P.11 airplane he took part in defending the capital. Following the invasion of the Red Army, he evacuated with his whole squadron in one working PZL P.11 to the territory of Romania. From Romania he went to France through Yugoslavia and Italy. After German invasion of France he was one of only few Polish pilots who confronted Luftwaffe by fighting in II Klucz Kominowy (a Polish air force unit created on the territory of France in May 1940 as a unit of Polish Air Forces) under command of captain Tadeusz Opulski. MS-406 airplanes were used in battles. After the capitulation of France in June 1940 he was evacuated to England by sea, together with other pilots. On the British Isles he was assigned to the Kościuszko’s Fighter Squadron 303, stationed at the Northolt airport. During one of such operations, in March 1942, covering Boston bombers, as a result of a confrontation with a German fighter Messerschmitt Bf 109, the airplane piloted by Łokuciewski was shot down. He was wounded in his leg and had to carry out an emergency landing on a field, from where he was taken prisoner. 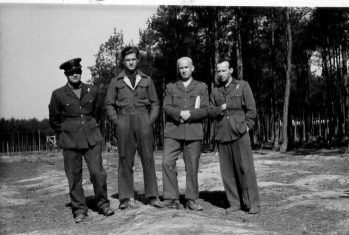 He was imprisoned in the prisoner of war camp for allied pilots in Żagań. He escaped from the camp, together with a group of 25 prisoners, in August 1943. Unfortunately, just a few hours later he was captured by Gestapo in Legnica. However, this didn’t deter him from planning another escape. In the night of March 24/25, 1944 during the so-called “great escape” Łokuciewski didn’t manage to leave the grounds of the camp due to his distant number. The German guards discovered the tunnel dug by the prisoners and thwarted their plan. Most fugitives were captured and executed almost immediately. His imprisonment ended in April 1945 when taking advantage of the evacuation of the camp, he escaped together with a few colleagues on the territory of Germany. Next, he returned to England. In November 1945 he returned to his Squadron 303 as a captain pilot. In February 1946 he took over the command of Kościuszko’s Fighter Squadron 303 from captain Bolesław Drobiński. He served as the commander of the unit until its dissolution in November 1946. He returned to aviation after the political breakthrough in 1956. He was trained on MiG jet airplanes. 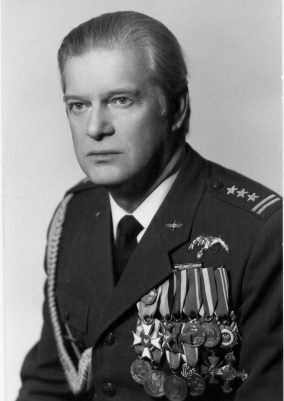 In 1969–1972 he worked as a military attache in London. Two years after his return from England he retired. 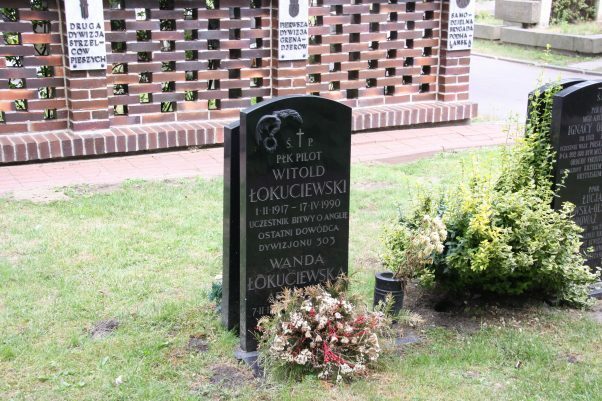 Colonel pilot, World War II fighter ace Witold Łokuciewski died on April 17, 1990 in Warsaw. For his merits in World War II he was awarded the Silver Cross of the Military Order of Virtuti Militari, twice the Cross of Valour, British Distinguished Flying Cross and the French Croix de Guerre. 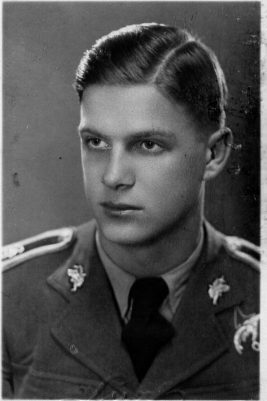 Witold Łokuciewski shortly before graduation at the School of Eaglets. October, 1938. 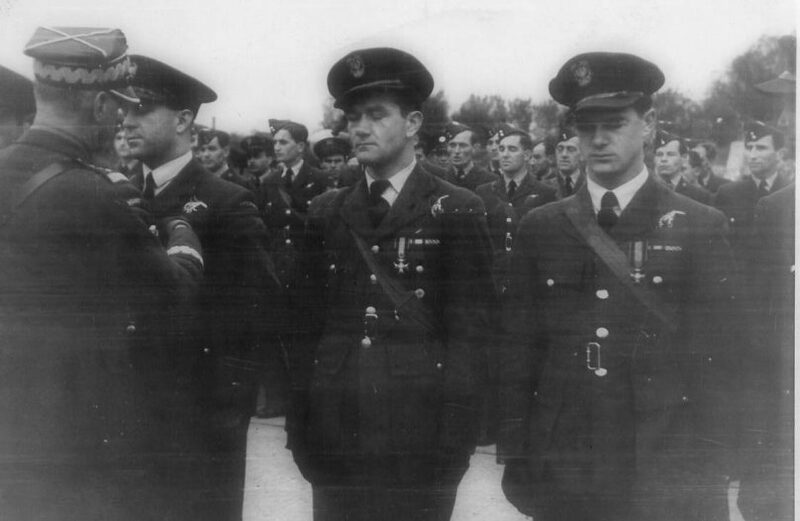 General Władysław Sikorski decorating Polish aviators with the Cross of Valour (Krzyż Walecznych). From left to right: Stefan Janus, Jan Zumbach and Witold Łokuciewski. October 28, 1941, Northolt. Prisoner-of-war camp in Żagań, may 1943. 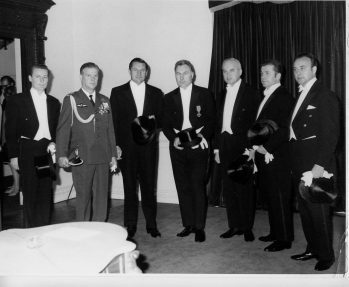 Witold Łokuciewski — second from the left.